> Blog > As Commercial Real Estate in Oregon Explodes, How Will the Cellular Infrastructure Keep Pace? As Commercial Real Estate in Oregon Explodes, How Will the Cellular Infrastructure Keep Pace? The commercial real estate market in Oregon is booming, with construction exploding at a feverish pace. 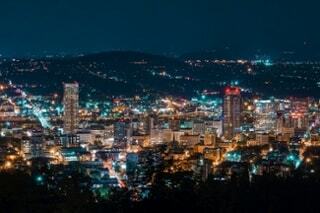 A prominent Portland real estate firm recently confirmed that there are no signs of the market slowing, as both businesses and individuals continue to flock to the great Northwest. With more businesses taking up residence in Oregon, cellular signals have become increasingly taxed. Overall, the United States ranks 10th out of 25 in cellular coverage compared with the rest of the world, according to MobileNEX’s 2016 Global Mobile Network Customer Experience Index. The reality is that as commercial real estate growth continues to explode across the Western United States, cellular infrastructure is struggling to keep pace. And if you think switching carriers will help, that’s not necessarily so, according to a recent report from Business Insider, which claims that poor cell service is plaguing every major carrier — Verizon, AT&T, T-Mobile, and Sprint. So if you’re building — or relocating — your business to Oregon, how can you make sure the coverage in your commercial space will be solid enough to adequately support it? It’s important to consider that the strength of your coverage doesn’t necessarily have anything to do with the amount of cellular infrastructure in the area. In fact, most areas are amply supplied with cell towers these days. But even the strongest outside signal can be hampered by many of the building materials used in constructing commercial spaces, including steel and concrete. 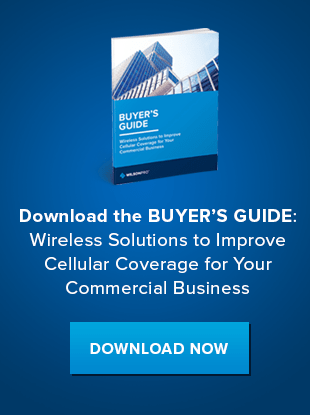 In areas where cellular coverage exists, business owners’ best option to ensure strong cellular coverage in their buildings is to employ cellular signal boosters, also known as bi-directional amplifiers. These boosters work via distributed antenna systems, or passive DAS, and essentially bring an outside cell signal indoors. The devices detect any existing signal outside the building, boost it inside and broadcast it throughout the building to bring the signal within range of cell phones and other devices. For voice calls cell signal boosters work in the opposite manner, transmitting an amplified signal from a user’s cell phone back to the outside cell tower. Reliable cellular coverage is no longer optional for businesses that want to succeed and remain competitive. When calls are dropped, networks are inaccessible and download speeds are slow, your business will suffer, and your customers will take notice. If your Oregon business could benefit from a stronger cellular signal, contact WilsonPro today to learn about our various cell signal boosters that can improve signals in spaces up to 100,000 square feet. Multiple boosters can also be put in place to accommodate even larger spaces. Our cell signal boosters also work with all of the major carriers, so you don’t have to worry whether a particular carrier network might transmit a better signal in your specific location. Are Schools Blocking Cell Phone Signal?